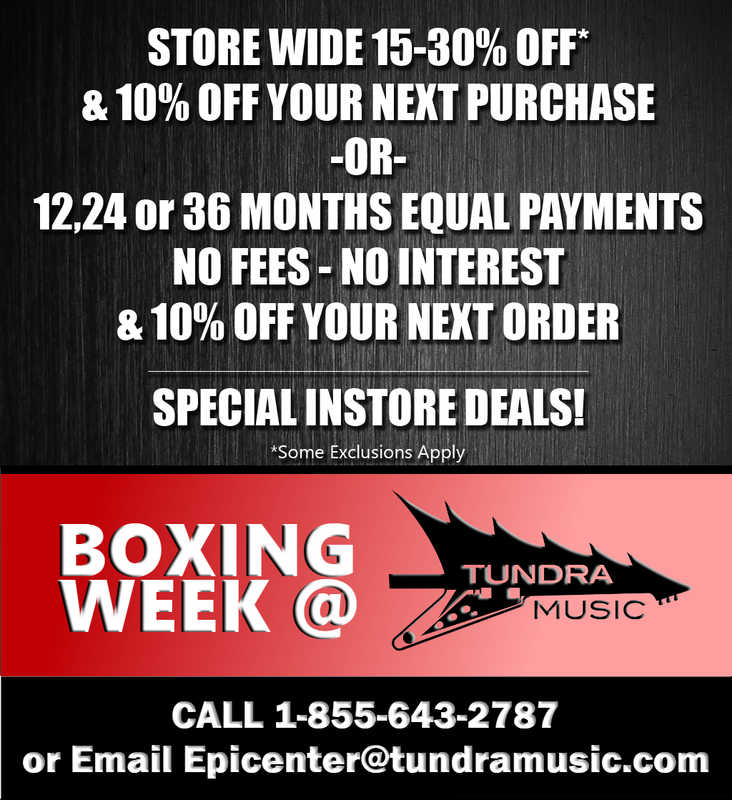 Here at Tundra Music we are laser focused on acquiring the best gear in the industry at competitive pricing that we are flexible with. We have an open policy for offers and we specialize in supplying musicians across the world with gear they need within the budget they have. From the best price match policy to the most flexible financing...there really is no reason to buy elsewhere. There is a phrase we use here at Tundra; Price shop everywhere but buy from Tundra- we will always provide a better price or more value on your purchase. With three stores located accross the GTA we have a wide selection of music gear and we have access to the biggest brand names in the industry if we do not have it on hand. We will provide an accurate ETA for all orders and pride ourselves with developing meaningful relationships with our customers that keep them coming back. Please- Give us a call or send us an email and we would be glad to do whatever we can to hook you up with what you need.